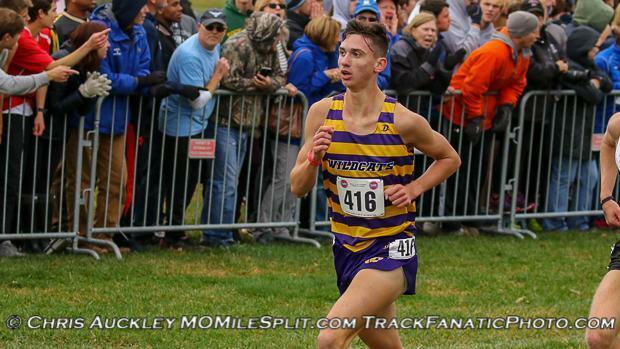 The Blue Springs Senior got off to a stellar start Friday night at the Ron Ives Invitational with a blazing 1:55.06 800m. According to our data base this is the fastest 800m ever ran by a Missourian in the month of March. In addition to that 800m, he also ran a very solid 4:26.40 1600m at the UCM Mule Relays earlier i the week. 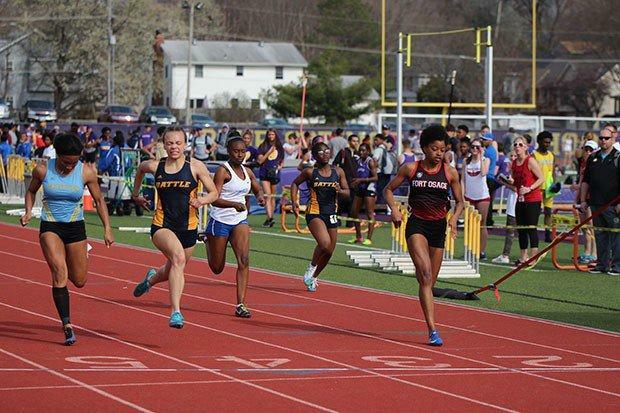 Both of these athlete competed at the Lindenwood Les Petites Cotes High School Classic on Saturday and put in great performances in the Sprinting events. 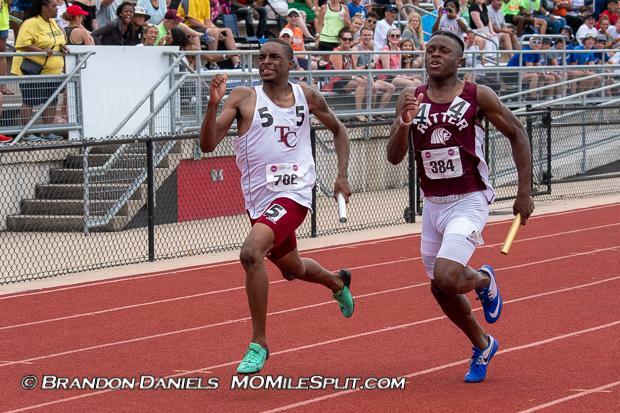 Butts won the 100m with at State leading 10.85, which makes him only one of two athlete to be sub 11 early on here in the season. Winston to the win in the 200m with 22.01 just ahead of Butts who ran 22.12 which has them sitting as #1 and #2 in Missouri right now respectively. 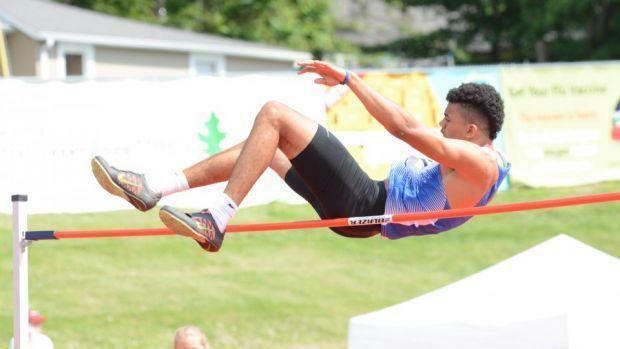 The defending Class 4 State Champion High Jumper got his season started in spectacular fashion at the McDonald County Mustang Stampede on Thursday night. He came in with a 6-7 PR, and he obliterated that mark with a State leading 6-10 jump on Thursday, which is three inches higher than the next best jumper in the State from last week. Grimes finished 4th last year at State in the 400m, and got off to a great start in the sprints this year at the Bob Thorpe Invitational. She won all three sprinting events, and currently leads the State in all three sprints as well. She ran 12.41, 25.58, and 58.91 and her 100m & 200m were just off of her PR's. 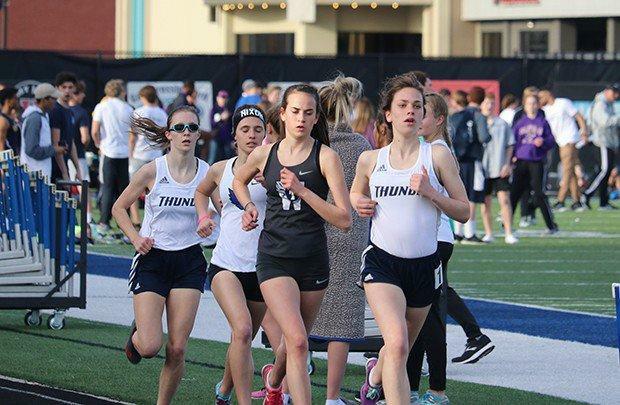 The Lee's Summit West Titan ladies are no strangers to these "Who Won the Week" articles, and they start of 2019 in them again. XC State Champion Ginger Murnieks kicked off her senior season tracks season in the 3200m with a BLAZING 10:43.07 under the lights at Liberty on Friday. That time would've been the second fastest time in the State all of last year, and it's still March! Her teammate Madison Hulsey got off to a great start as well with a new PR in the 1600m with a 5:01.65, which is currently a whole 8 seconds faster than second place. 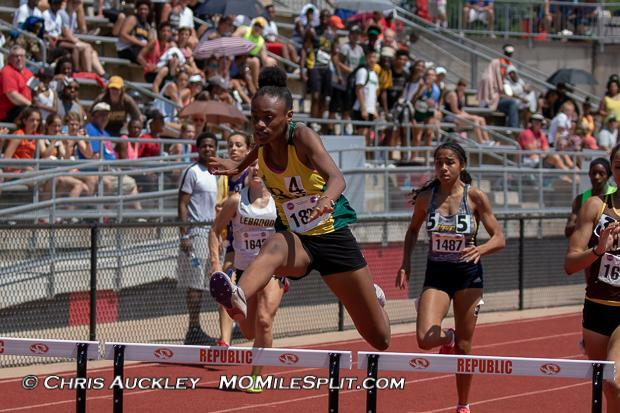 Defending Class 5 300m Hurdle champion Tyra Wilson kicked off the 2019 season with wins in both hurdle races at the Ft. Zumwalt West Invitational on Saturday. Her 14.31 in the 100mH was just short of her PR from last year, and that along with her 44.14 mark in the 300mH currently has her leading the State in both hurdle races.